Question the advice you are being told for your dog. Dog Owner: My dog jumps up and gets excited when I get the lead out for the walk. Question: What is the dog is learning here – how on earth is putting the dog away in another room going to solve the problem of the dog becoming excited when the lead comes out for a walk. Logic: Teach the dog what you would like him or her to do – why not teach a sit to have the lead put on. 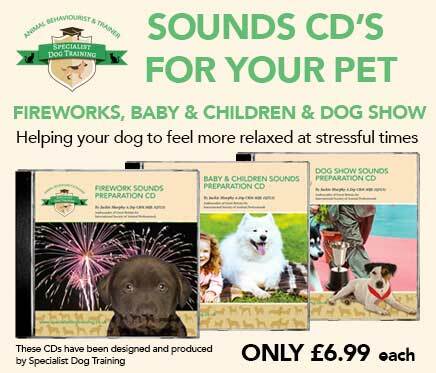 Right from the start, I teach owners how to be calm around their dogs, how to teach puppies/dogs to be calm, how to relax an over-excited puppy/dog. calming exercises and reward based training – both the dog and I were in the same room. Dog Owner: My dog brings me a ball to play with him/her. displaying dominance and you must play when you decide. the theory behind “dominance” has been completely disproven. Logic: Playing with your dog means you are bonding with your dog, it will also mean that it helps reinforce recall, it helps strengthen the bonds and makes it fun for the dog to interact with the owner. I play with my dogs every day – every chance I get whether they bring me a ball or toy or whether I go out and initiate play – its fun, its exciting and strengthens my bond with my dogs. 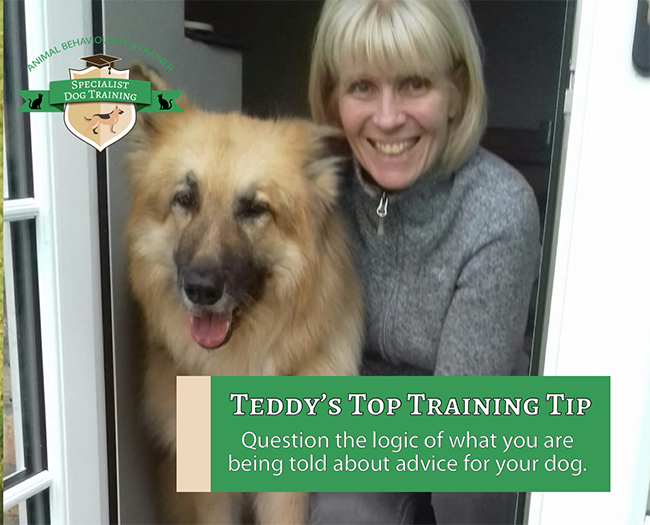 Question what you are told – I love it when owners ask me questions or say why are we doing this, it shows that they need to know why it is important for them and why they need to teach the dog, it also shows that I can explain the reasons behind it (logically! ).